Associates and Corporate Members are eligible to appear in additional branch of engineering. You have to follow various steps such as downloading form for AIE (to download click here or fill online form). Members, who intend to appear for the first time in additional branch of engineering should first apply for registration for Section B on the Prescribed Format sending a demand draft for Rs. 3000/- (US $ 200 for Overseas Chapters candidates). Thereafter, examination application form, along with the demand draft of Rs. 2000/- (US$ 150 for candidates of overseas chapters), should be submitted within the stipulated period. All such candidates are required to perform Project Work and Laboratory Experiment as per clause 2.3 of Rules (Vol. I). You can download exam form by clicking here. You will be exempted for appearing in Section A. You will only appear in Section B. You have to complete 10 lab experiments after passing five subjects of Section B. Moreover, there will a project work. 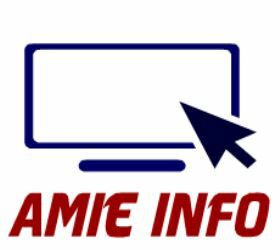 When your admission is finalised then you may take coaching material from AMIE(I) Study Circle. The Associates -- AIE (formerly Graduates -- GradIE) should quote their membership number as A-xxxxxx/x instead of G-xxxxxx/x in the examination form and all other correspondence.